The Scotsman reports that Rockstar Games are currently seeking game testers at Rockstar North in Edinburgh to ensure GTA 5 is bug free and in full working order when it launches. Although we still don't have an official release date for the game, it's widely expected to be launched before the end of 2012 and the fact that Rockstar are actively looking to bring in a team of dedicated testers would appear to hint that the game is nearing completion. Testing does of course happen all throughout the development process, however a full team of testers would be expected to check every part of the game - something which wouldn't be possible until development was complete. For anyone who is thinking this opportunity is a dream job, be warned; testing is a long and repetitive process which generally requires something to be tested and re-tested sometimes hundreds of times over. We'd all love to play through GTA 5 before it's launch, but bear in mind it's a totally different thing compared to enjoying the game as a fan when the final product is launched. I think the excitement might start to wear off after you've played through the same mission 50 times in a row! If you think you've got what it takes and you'd like to get your foot in the door of the gaming industry (with the best company in the business), head over to Rockstar Jobs and get your application in. Good luck to anyone who applies. As for what this means for GTA 5... It just continues to back up our belief that the game will launch this year, most probably in mid-to-late 2012... Although hundreds of you think it'll be launched on May 24th in our Release Date Competition! 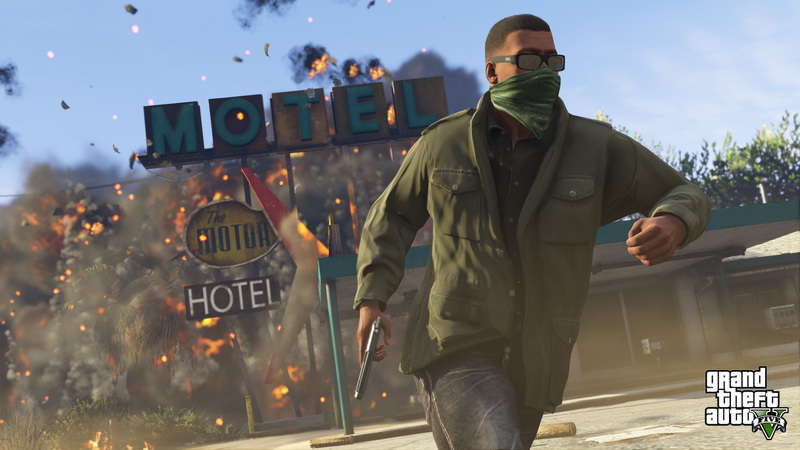 gta 5 has been in development since 2008, after red dead was released, they finished it at the end of 2011, celebrating with a trailer to let fans know its coming. testing began at the beginning of 2012, no game takes 1 full year of testing, unless R* is using a new engine, which they are not. The lack of information is part of the marketing strategy. The release date will come out 2 months before its released you'll see. @JJ: There are no leaked videos. Rockstar is hire-ring International communication managers, International communication managers are responsible for the forums and Rockstars Newswire. And 6 months ago they hired 5 game testers. This means if Rockstar hired 5 game testers and they are working 24 / 7 on the game for 6 months now. Gta 5 is at his final form. Rockstar did something different to there Marketing Strategy they announce GTA 5 Later then normal. Free marketing for Max Payne 3 and very happy GTA fans. You guys maybe not belief it bud Grand Theft Auto 5 is coming December 24 2012. guys hang tight after 1 June The Gta info is coming. With the Xbox 720 being announced for Xmas 2013 I'm betting GTAV comes out then with the new system. I'm hoping we have to wait the extra year...it'll be WORTH THE WAIT!!! i bet this game will be the most original gta ever and i wish all players goodluck and let's pray for it to come out soon guys. It wasn't supposed to, though. release dat expected to be march 2013.. last time with GTA IV they released its first trailer exactly 1 year later the game was released. Rockstar North Currently Hiring Game Testers - Rockstar North are currently hiring game testers to ensure their latest games, including GTA 5 are bug free. This could point to the game being quite late in development and may be ready for launch later this year.